Doug Scott's historic ascent (with Dougal Haston) of the southwest face of Everest in 1975 sparked a revolution in mountaineering, opening the way for climbers everywhere to adopt the rapid Alpine style of ascent as they tackled the world's highest peaks. As part of an elite international group of climbers, Scott soon completed a string of major climbs on Shishapangma, Shivling, Nuptse, and notably on Kangchenjunga, where his ascent of the north ridge (with Pete Boardman and Joe Tasker) ranks among the greatest of the Himalayan climbs. This stunning pictorial record of Scott's remarkable climbing career covers over 26 visits to the most fabled regions of the Greater Himalayan range, including the Hindu Kush, Tibet, the Karakoram, Ladakh, and Bhutan. 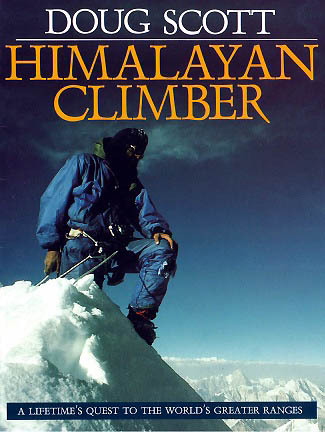 Illustrated with over 400 dramatic color photographs, Himalayan Climber also includes narrations of his expeditions in other parts of the world: rock climbing in Derbyshire at the age of 11, bivouacking in freezing temperatures in the Alps, exploring the Atlas Mountains near the Sahara Desert, struggling up the vertical face of El Capitan in Yosemite Valley. Scott's breathtaking images capture the awesome beauty of some of the world's best-known peaks as well as the intense drama of some of history's most famous climbs.